and His Love for us. of an individual Human Being. What is the purpose of existence? cultural bias, religion, language, and territory. But America is the exception. of our Declaration of Independence. and with a joyful purpose. and of His Love for us. for every generation to come. A world filled with illusions. “I know there’s something much more. Nothing is more important than your happiness. is a professional theater company operating under agreement with Actors’ Equity Association, the professional union of theatrical actors and stage managers in the United States. 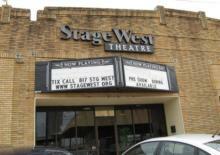 For over 38 years, Stage West has been praised for its excellence, producing 265 shows, including 244 plays and 21 musicals. of the Anderson Private School. Stage West’s goal is to broaden and intensify the theatrical experience for patrons with consistently excellent acting, directing and plays. Through this, the company nurtures the artistic growth of area actors, directors, designers, playwrights and musicians. and view the 2016-17 Season. FREEDOM to declare your own reality. “Learning is the beginning of wealth. where the Miracle process all begins. that you set for yourself. we do not yet know exist. of our reason for Being. And you are its Embodiment. in your mind and Heart. YOU can now take the next step forward. More vast and complex than the World outside of you. than the World outside of you. Fill the World with Beauty. whoever is discerning, let him know them. and the righteous will walk in them. to endure day by day. There is more to Life than can be seen. James Baraz and Shoshana Alexander share their principles for building more joy into your daily experience. Editor’s note: “Joy is not for just the lucky few,” says James Baraz, a longtime meditation teacher and cofounder of the renowned Spirit Rock Meditation Center in Woodacre, Calif. “It’s a choice anyone can make.” Each year since 2003, Baraz has taught a 10-month course, both online and at the center, called “Awakening Joy.” Its goal: to help participants increase their daily quotient of positive feelings. The material is based on universal, nondenominational principles that draw on both Buddhist philosophy and on contemporary neuroscientific studies that show we can deliberately incline our minds toward greater happiness. The seven suggestions that follow will give you a glimpse of his joyful prescription and help you understand how to put it to work in your own life. Any activity, when performed repetitively, changes the structure of the brain. But even repeatedly imagining an activity has an impact on neural structure. Researchers at Harvard Medical School demonstrated this with an experiment where they asked one group to play a five-finger exercise on the piano over the course of a week. A comparison group was asked to merely imagine moving their fingers to play the same exercise. Though actively playing the exercise had a greater impact on brain structure than imagining it, by the end of the week, the same region of the brain in both groups had been significantly affected. Each day, deliberately imagine yourself happy. Picture yourself in a situation with people you really like, or engaged in an activity that gives you a lot of pleasure. By actively imagining feelings of happiness or recalling happy experiences, you can help to encourage changes in your brain that will predispose you to creating more real-life joy in your daily experiences. Even though the brain is strongly inclined to notice and retain negative experiences over positive ones (that’s our protective survival instinct at work), you can help level the playing field by strengthening your neurological happiness circuits. Whenever you’re experiencing a moment of joy or contentment — walking, listening to music, being kind, feeling grateful — don’t miss it! Pause to notice the feelings in your body and the state of your mind. Do you feel warmth in your chest? Does your mind feel light and open? Countless studies have shown the effects of gratitude exercises on positive outlook. One study conducted by positive psychologist Martin Seligman asked participants who considered themselves severely depressed to write down three good things that happened to them each day for 15 days. Ninety-four percent of subjects reported a decrease in depression, while 92 percent said their happiness had increased. Because experiencing and expressing appreciation has such a demonstrable effect, we highly recommend course participants keep a daily list of things they’re grateful for. Here’s another exercise that can incline the mind to gratitude even during unpleasant moments: Choose a task or situation in your life that feels like an obligatory burden. Try changing your “I have to” story to an “I get to” story, and see if you arrive at a different perspective. “Now I get to take out the garbage” could create an opportunity to feel grateful for your working legs, or your trash pickup service — instead of just feeling annoyed. When we’re stuck in resentment, self-condemnation or guilt, our capacity for joy is severely limited. Everyone makes mistakes, so it’s important that we learn how to let go of blame — for others and for ourselves. Resentment consumes energy, even when we’re entitled to it. If you’re trying to let go of blame toward someone else, try becoming curious about a hurtful experience, instead of taking it personally. Taking a more impersonal view of disappointments can reveal their hidden gifts. When you’re trying to break the habit of self-recriminating thought, focus instead on how you want to feel. Rather than dwelling on a mistake, recall the pleasant feeling you have when you choose wisely or accomplish something successfully, and let that feeling be your guide. It can take several months for neural circuits to consolidate fully in support of new habits of mind, so be vigilant. You are wiring your brain to fully experience happiness instead of just relief at avoiding error. One of the primary obstacles to joy is the feeling of being too busy. Even if we can’t pare down our schedules, it doesn’t mean we can’t feel happiness, peace or even joy in the midst of our busyness. Even if you’ve just dashed down the hall at work from one meeting to another, stop for a few seconds before you open that next door. Close your eyes, let your body relax, take a breath, and come back to yourself. You may find yourself feeling substantially less harried and more capable of dealing calmly and consciously with whatever unfolds next. There are a lot of reasons to feel joy observing other people — if we’re looking for the best in them. Seeing the goodness in someone else brings something real, alive and uplifting out of him or her. It allows trust to develop between people who scarcely know each other. And it allows you to truly enjoy your interactions with others without getting hung up on what you don’t like. Try this: For one week, take on the practice of looking for the good in everyone you come in contact with. See in each person the desire to be safe, accepted, happy and loved. Even if you know someone’s shortcomings, keep looking for the positive qualities — creativity, humor, a caring heart, intelligence — any and all positive qualities you might admire. Notice what effect this has on how you feel toward others and on your interactions with them. Notice the effect it has on your state of mind. And enjoy it. to what we can see. of the lost and searching. the “Grace” of God’s Love. How great is the Love of our Father? The silence is my teacher. that is present in all that exists. God, Spirit, Source, the Great I Am, Allah, Yahweh, etc. but rather a Presence within each of us. What God provides in Nature, nurtures me. That we could be so close, like brothers. Blowing with the wind of change. Eating unprocessed food is a great way to improve your overall diet, but proponents say it can also do great things for your mental health. Erica learned the hard way how food affects her physical and mental health. Ten years ago, she worked in the high-pressure, go-go-go TV industry. Meals were devoured in minutes. Drinking two cans of Coke a day was the norm. The work stress became overwhelming, and she soon left. But it wasn’t until later that she made the connection between what she ate and how it made her feel. Erica realized that her food choices had aggravated her episodes of stress – and, conversely, that her stress had contributed to poor food choices. “When I adopted a clean eating diet, where I cut out the processed and comfort foods, I immediately noticed a change not only in my mood, but how I reacted when things went wrong,” Erica says. The term “clean eating” is trendy nowadays. An entire magazine is devoted to the subject. From TV chef Curtis Stone and Whole Foods co-founder John Mackey to actresses Anne Hathaway and Jessica Alba, a slew of personalities and celebrities swear by clean eating. Pamela Fergusson, RD, PhD, a registered dietitian and consultant with Fresh Start Nutrition in Toronto. That means food in its natural or near-natural state, with minimal or no added chemicals, additives, or refined sugar. Ideally, what you eat should not be processed, or minimally processed, allowing it to retain high amounts of vitamins, minerals, and other essential nutrients. One way to approach clean eating is to skip anything that comes in a box, can, or similar packaging. “For instance, beans come in cans that may add a little extra salt for flavor and preservation, but they are still beans, which are a nutritious whole food,” Fergusson notes. You can ID processed foods as those that undergo changes from their natural state: think instant oatmeal instead of steel-cut oats, or French fries instead of whole potatoes. “Clean eating encourages eating more of the right kind of foods without thinking about low-fat, low-calorie, or low-carb,” says Fergusson. If you follow a particular eating plan – including a vegetarian, vegan or Paleo diet – you can still incorporate clean eating into your regimen. Just make a point to avoid processed staples. For instance, vegetarians may enjoy frozen veggie burgers, but they don’t meet the guidelines of clean eating. Vegans may opt for soy cheese, but that’s often made with additives and preservatives. Clean eating can have a positive impact on your mood. Indeed, research is beginning to demonstrate how our food choices – not just what we eat, but what we don’t eat – can influence how we think and feel. When you get stressed, the body goes into fight-or-flight mode, releasing the hormones adrenal and cortisol to combat the stressful event. This reaction typically suppresses our appetite. If stress persists, however, and you find yourself in a constant state of worry, anxiety, or prolonged exposure to stressful situations, these hormones overload the body and cause heightened inflammation and negative emotions. “The worse someone feels, the more likely they will seek comfort,” explains Eva Selhub, MD, author of the books Your Health Destiny, The Love Response and Your Brain on Nature. While it can make people feel better in the short term, comfort food serves only as a temporary fix, Selhub warns. While your diet can contribute to stress, it may also control how your brain responds to them. That’s why the goal of clean eating is to eliminate unhealthy “feel-good” food and replace it with natural choices that can actually promote greater brain health. Studies have found that people who follow the Mediterranean diet, for example – which includes plenty of whole vegetables and fruits, unprocessed grains, fish, and other seafood – have a 25%-35% lower risk of depression compared with those who follow a typical “Western” diet high in processed and refined foods. One reason that a diet abundant in natural-state foods benefits your brain and mood is that these foods contain high amounts of antioxidants, which have been shown to not only soothe inflammation and oxidative stress but help prevent it in the first place. If you battle unhealthy cravings as part of your stress, clean eating is a way to break free from your dependence. Taylor, co-owner of St. Pete Strength and Conditioning in Florida, turned to clean eating when he became more dedicated to his weight-training regimen. His approach: stick with foods close to their natural state, which helped eliminate high amounts of refined sugar in his diet. Taylor says he noticed an almost instant change for the better. Taylor pointed to cutting out sugar, a feeder of inflammation, as the main factor for his improved outlook. “Without all the excess sugar from processed foods and dairy, I have much less of the mental ups and downs that can happen when faced with daily stress. I’m much better able to go with the flow,” he says. Another advantage to clean eating is that it can expand your palate, so you’re not always stuck in a food rut. “Clean eating is more about what you can have rather than what you can’t have,” says Rebecca Katz, MS, author of The Healthy Mind Cookbook. For her part, Erica discovered the many wonders of kale through clean eating. Keep in mind that clean eating is designed to be flexible, so your healthy efforts will not collapse if you take a day off. If anything, the mental benefits of clean eating make it easier to rebound without guilt or stress. Begin with breakfast. It’s a smaller meal and easier to prepare. Replace processed cereal with oatmeal, or a smoothie made with almond milk, greens, and frozen fruit. Plan your meals. Organize and prep your meals for the week over the weekend. Have your fruits and vegetables chopped and stored in a container ready to go. It’s easier to reach into the fridge and grab what you need than to feel overwhelmed trying to prepare an entire meal from scratch. Make a sweep of your kitchen. Get rid of processed foods lurking in your cupboards, refrigerator, and freezer. “This frees up space for you to add healthier alternatives that make cooking much more efficient,” says Katz. The focus of clean eating is to consume more whole foods in their natural state and to avoid heavily processed foods. How you prepare your food can also help you eat clean. Stick with flash-cook methods like stir-frying and steaming, which lock in more vitamins and minerals. Avoid high-fat cooking techniques, like deep frying or stewing your food in animal or vegetable fats. Beneath the beautiful canopy of God’s Eternal Love.